'Tis the season to be jolly! Do you want to give the perfect Christmas gift? Here is your chance to WIN IT! In the spirit of all things jolly, get a chance to win Taiwan Excellence products from Taiwan Excellence Celebrity Endorser for the Philippines, Iya Villania-Arellano. Aside from its campaign of bringing an excellent lifestyle, they are helping Filipinos express their love and appreciation by letting Filipinos choose high-quality gifts for their loved ones. Have you read about my previous blog post about the Taiwan Excellence products that I've been using for years? Taiwan Excellence is the symbol of quality that guarantees the superior value of Taiwanese brands, making them the perfect choice to give your loved ones this Christmas. 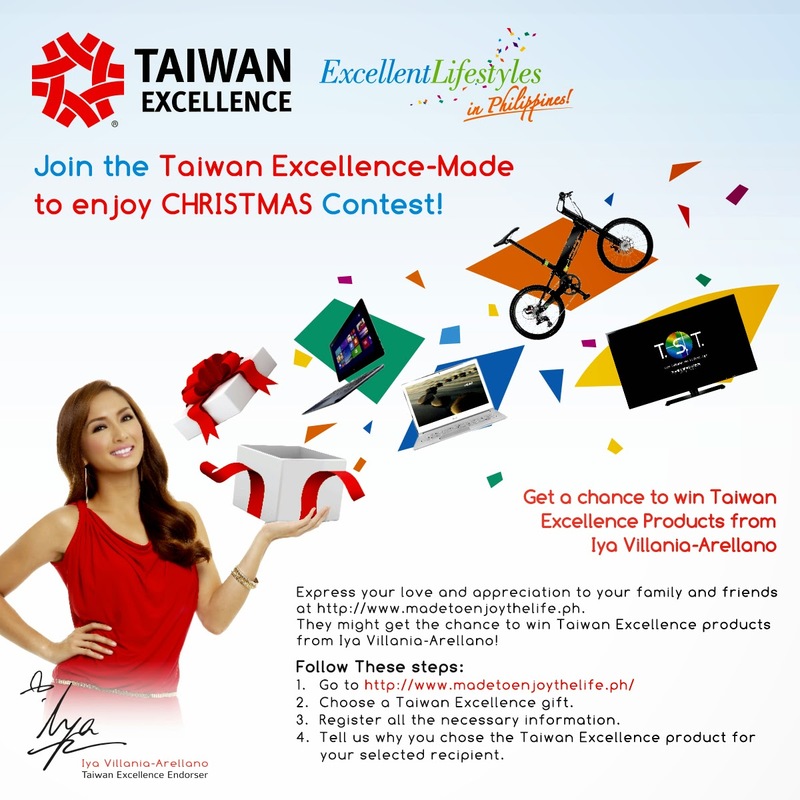 Taiwan Excellence recognizes that Christmas is a special time for Filipinos and is helping fulfill their “Grown up Christmas list” by letting you wish for things for others through the Taiwan Excellence - Made to Enjoy Christmas Contest. 2. 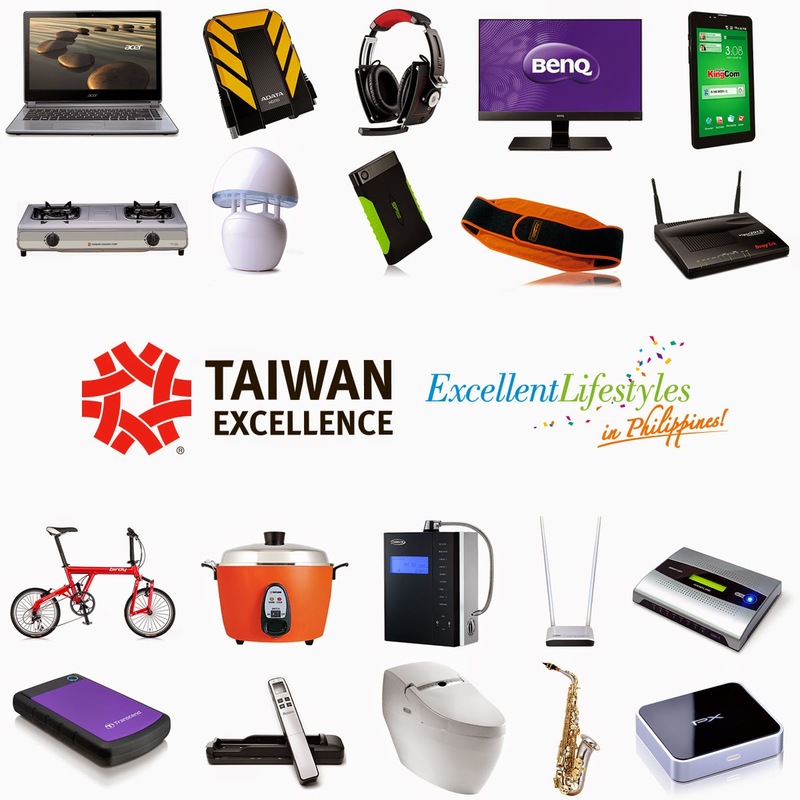 Select a Taiwan Excellence gift for your loved ones. 3. Register all the necessary information. 4. Upload your photo, and share why you want to give your Taiwan Excellence gift to your selected recipient. No purchase is necessary to enter and/or win the contest. When done, feel free to share the Taiwan Excellence - Made to Enjoy Christmas to your family and friends. Ten winners will be selected to receive the chosen Taiwan Excellent product. And ONE lucky winner from the ten will have the gift delivered by no less than Taiwan Excellence celebrity endorser for the Philippines- Ms. Iya Villania-Arellano! The Made to Enjoy Christmas Contest runs from September 28, 2014 until November 23, 2014. Beyond being a seal of quality, the Taiwan Excellence symbol makes life much easier for consumers who want nothing but the best for themselves and their loved ones this Christmas. The Taiwan Excellence campaign is organized by the Ministry of Economic Affairs (MOEA), Bureau of Foreign Trade (BOFT), R.O.C. Taiwan, and implemented by Taiwan External Trade Development Council (TAITRA), which is a non-profit, semi-governmental trade promotion organization in Taiwan that launched the campaign in the Philippines. For more information about Taiwan Excellence, visit www.taiwanexcellence.ph and like them on Facebook www.facebook.com/TaiwanExcellence.ph.